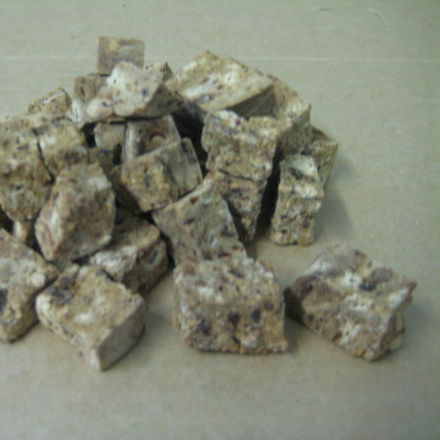 Smaller cubes of the cookie mix. Ideal for the smaller dog. Can be fed as part of their meal or as a treat or training tool. Dogs love them. Packaged in 1kg packs.